During college and graduate school, I pulled big stone and plate lithographic editions. Now I focus on water-based techniques, work on a smaller scale, and in series. 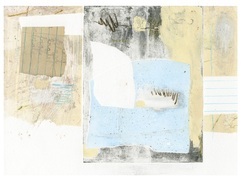 ​I am intrigued by the combinations of print methods like relief, drypoint and monotype/monoprint.